Vitamin D is an important vitamin found in fatty fish such as tuna, salmon and mackerel as well as oysters and dairy products like butter, cream, cheese and fortified milk. Many other food products are also fortified with additional vitamin D to make it more readily available. Cereal products, juice and margarine are a few examples of the foods that are fortified with vitamin D.
Vitamin D supplements are typically taken daily. The recommended daily allowance of vitamin D, according to the Institute of Medicine, is 600 IU daily for individuals between the ages of 1 and 70, including pregnant and lactating mothers. Individuals over the age of 70 have a recommended daily allowance of 800 IU while infants between 0 and 12 months should get 400 IU of vitamin D each day. 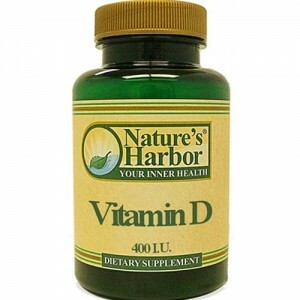 Most vitamin D supplements contain 400 IU of this vitamin. Vitamin D supplements can be used to help prevent osteoporosis, bone fractures, cancer, muscle pain, multiple sclerosis, falls and the flu. Existing conditions related to weak, brittle bones, bone loss and bone pain including osteoporosis, osteogenesis imperfecta and osteomalacia may be treated with vitamin D. Rickets are a classic problem associated with a deficiency of vitamin D that can be effectively treated with this supplement as well. A prescription version of vitamin D may be used topically to treat psoriasis. Though unproven, vitamin D may be an effective treatment for multiple sclerosis and rheumatoid arthritis. Regular vitamin D supplements may help prevent tooth loss in the elderly and can reduce the risk of all types of cancer. Women who take vitamin D supplements are more likely to have success both with losing weight and keeping it off.